Most people like to be a member of a family and a part of the team. Here at J.S. West, that is exactly what you’ll experience. With nearly 300 employees, that might seem impossible…but it’s true. One of the reasons is that J.S. 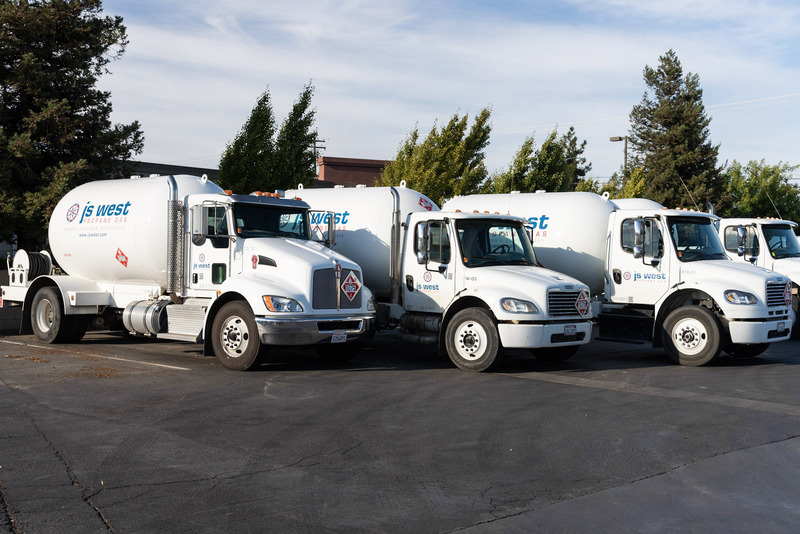 West has 17 locations throughout the Central Valley, with each location having five to 50 employees. The propane divisions are located in Placerville, Colfax, Angels Camp, Sonora, Modesto, Fresno, and Oakhurst. There are egg processing plants and chicken ranches in Hilmar, Livingston, and Farmington. In Modesto, you will find a retail feed store and the corporate office. Because of the wide scope of businesses, there is a diversity of positions. A few job titles are delivery driver, feed store clerk, sales associate, accounts payable, maintenance mechanic, manager, night janitor, quality control, and receptionist. Please include the job title number with your resume. If you are applying for a driving position or a DOT-regulated position, please attach a copy of your DMV printout.